DARKSIDEadv | What are the best tools to measure social media influence? Everyone on social media is obsessed with influence. But how can you know for sure how influential you are? What does social media influence even mean – and how can you know when you’ve got it? Some people consider the number of followers, likes etc. as a good way to measure influence. But I honestly believe that numbers don’t mean a thing on social media unless they are backed up by other factors. Everyone can gather thousands of Twitter followers or Facebook Page likes. Many of them can be fake, bought or simply completely uninterested in your social updates or your opinions. The truth is that the term is thrown around a lot, but even the most influential social media users have a hard time agreeing on an universal meaning for “social media influencer”. 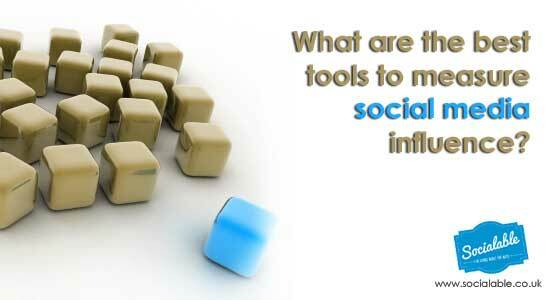 In my opinion, influence is all about engagementand how people are responding to your social media updates. Do you get lots of retweets and shares whenever you post a new update? Are people coming to you with questions and looking for your help? Are other social media users recommending you and your work? Klout is definitely one of the most well-known social media influence tools. By signing in with Klout, you will get a score between 1-100 that represents your influence – the bigger the score, the more influential you are. Klout uses over 400 signals from as much as eight different social networks to update your daily Klout score. Basically, it looks into the reactions your updates get across social media, as well as the type of person that interacts with your posts – meaning that even if you get a 1000 retweets to one tweet, if they come from the same 2 persons it won’t count as much. and then gives you a score from 1-1,000 points. The more points you get, the more influential you are. What I really like about Kred is that they also calculate your Outreach, which reflects how much you are engaging with others. I think it’s very useful to see if you are engaging enough with other users by retweeting, replying and mentioning them. The highest Outreach level ever reached is 12, but I’m looking forward to try and beat it! PeerIndex uses hundreds of different signals from some of the top social networks, Facebook, LinkedIn, Quora and Twitter, to deliver your influence score. It mostly looks at your ability to drive action from your followers through your social updates (i.e. retweets, shares, mentions etc.). You can also use Peerindex to reward the top influencers in your niche, allowing you to build better relationships with them. Twtrland is a free tool that works for Twitter and Instagram. Twtrland shows you how many retweets you get per every 100 tweets, as well as how many replies you get for every 100 tweets – by looking at these two numbers, you will be able to get a much clearer idea of your ability to drive conversations onTwitter. You can also use Twtrland to endorse skills and expertise. If you want to see how you are doing on Instagram, Twtrland shows you how many likes and comments you get per photo on average. Twitonomy is another free Twitteranalytics tool, only much more detailed than your average free tool. You can see exactly what your tweets consist of and see how many retweets, users mentions, replies, etc. giving you a good idea of how engaged you are with other users. You can also see exactly how many mentions you’ve received over any specific range of time you want, and see how many mentions, replies and retweets you’re received during that period. You also get a chart that shows the exact number of mentions per day. You’ll also get a potential reach number (meaning the total number of followers of every person that mentioned you) and a list of the most influential and active people, in your network, so you can reward them. When it comes to Facebook, there’s no better tool to use than Facebook Insights, especially with the latest changes. Since this analytical tool is all-Facebook, that means it gives the most accurate data. You will be able to see how many people have talked about your Page and how many people you’ve reached on a weekly basis as well as other useful information. You also get a list of all your posts and see exactly how many people each of them reached, how many engaged users there are, and the virality of each post. How are you measuring your social media influence? Which tools do you think are the most accurate? And how do you think social media influence should be measured?